Is VC funding for you? Our guest speakers for Tuesday’s ‘Evening with Venture Capitalists’ offered their knowledge and advice to help entrepreneurs answer this burning question. The panel comprised of: Andrew Spearmanof A City Law Firm, who explained the basics behind the law structure of a start-up; Debbie Mahantafrom the Enterprise Investment Scheme Association (EISA), who explained the ins and outs of the EIS and SEIS schemes; as well as the VCs themselves, including Reece Chowdhry from RLC Ventures, Russell Buckley from Kindred Capital, Louise Rix from Forward Partners, Meriwether Beckwith from Oxford Capital, and Uthish Ranjan from Octopus Investment. 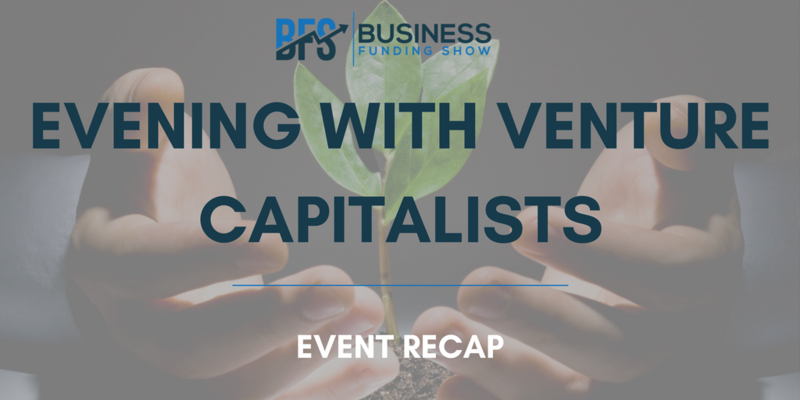 They explained the differences in their specific approaches and funding structures, to give the audience an idea of the different kinds of VC firms out there, and what they typically look for in a potential investee. The amount of investment offered by our panellists’ firms ranged from as little as £50k, to as much as £10m. As an entrepreneur faced with this many possible options, how do you decide which is right for you? Andrew advises entrepreneurs who are just starting out to plan very diligently for the future and spend smart. For this to happen, make sure that you get the essential advice early. As you grow, get the investment, and eventually meet with VCs – for them to have more of an interest in you, you’re going to have start squaring off your company’s edges – make sure all documents are ready, and that you have a robust system in place. At the end of the day, VCs are going to want to make sure they’re investing into a firm that is going to succeed. If you get your legal structure right as you go through it from the very start, it’s going to save you a lot of money in the long run. Investors can fund up to £1,000,000 per year per company, receiving 30% tax relief. They are locked into the scheme for a minimum of three years. To be eligible, companies must be less than 7 years old and have a maximum of 250 employees. A generous derivative of EIS, introduced in 2012. Its aim is to encourage seed investment in early stage companies. Investors can receive initial tax relief of 50% on investments up to £100,000 and Capital Gains Tax (CGT) exemption for any gains on the SEIS shares. To be eligible, companies must be less than 2 years old and have a maximum of 25 employees. What can you do to ensure you are fully eligible? Debbie mentioned the significance of the so-called “EIS Advance Assurance”, which is an application process to HMRC, in which entrepreneurs will need to submit a business plan and possibly shareholder’s agreements, from which the HMRC then assesses their EIS/SEIS eligibility. This is not a legal requirement for EIS funds, but “you are better off having this stamp of approval from HMRC, so that your eligibility is not challenged”, says Debbie. Make sure to check out the HMRC website, where you can find all the information about applying for EIS and SEIS, as well as the EISA website, where you can find additional resources like lists of professionals (accountants, lawyers) who can help your business with the application process. Seed investing – how early can you attract funding? - In general seed investors are only interested in investing in companies that have a product and some level of customer feedback, Meriwether tell us. - This doesn’t necessarily have to translate to revenue, but it generally means that your target customers have an experience of using the product. - Generally, the more you are able to demonstrate that your product is solving a real problem in the market, the more likely you are to get funding. - When discussing valuations, Louise outlined that these are very idiosyncratic to each deal, and that they will very much depend on the idea, the founding team, the market, and the new trends on the market. - Meriwether outlined that valuation at seed round can be tricky, but it generally comes down to how convincing the founders/idea are, how much of an opportunity it is, how much they’ve already proven so far, as well as how much competition they can create amongst VCs for the round. - There are 2 stages to the investment process: firstly you pitch to a number of different VCs, and then, once you are engaged with a certain one and actually want to take the process forward, at least in our case, we would only do that if we’re in some kind of exclusivity – says Uthish, describing the Octopus strategy. - This process can take a very long time or a very short time depending on how many people you’re speaking to. From the point when you reach exclusivity, to closing a deal, the process can take as little as 6-8 weeks. - Make time your friend: make the VCs understand that it’s a competitive process, and if they don’t commit and do the work quickly, you will move on, advises Meriwether. - A VC company will usually take a few seats in their portfolio companies and have monthly board sessions with them, discussing progress and strategy: do they need to pivot their approach? Is there something that can be done to enhance growth by following investments? - This very much depends on the type of company you are running: is it a B2B, B2C, B2B2C? - Efficiency is key, especially with B2C businesses. - It also depends on your sector: while direct marketing on LinkedIn and spending practically no money might be the sole strategy for some businesses, others might well have to delegate a large budget to a lot of different outputs. - A very good understanding of capital efficiency around marketing might be very useful in a potential pitch to VCs. - Don’t just ‘spend it’ and expect it to drive a good acquisition of customers: there has to be a strategy involved. The point on which all of our VCs agreed unanimously is the importance of researching and understanding the needs of the VC before you approach them: don’t get caught out before you even start. Every VC will have slightly different expectations and requirements, as will every business, depending on their sector, stage of development etc. It is up to you to grasp and fully understand those needs. Missed this event? Want to find out more about VC funding as well as Angels and Crowdfunding? Then our next event is definitely for you. ‘VCs vs Crowdfunding vs Angels OR Together?’ will take place on the 24thof July at WeWork Moorgate. Secure your tickets here!